A great car to go on a trip, and with the wind fabulous domchalis to Normandy with its fabulously delicious cheeses and aristocratic restaurants. 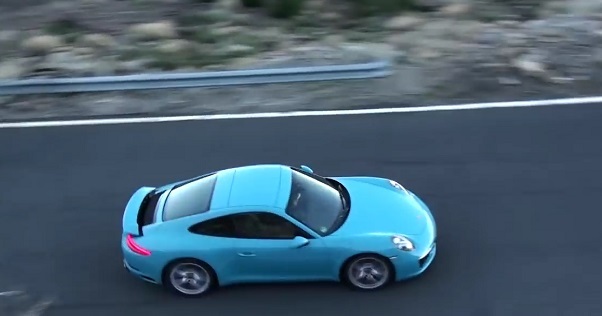 Meet the beautiful and thoroughbred Porsche 911 Carrera 2016. The German company had submitted its fabulous supercar second-generation Porsche 911 Carrera at the Frankfurt Motor Show 2015. The car became more powerful, technically advanced, and also received some updates in the design of the exterior body 991.2. In front, the model has received new front optics with «quad» LED parking lights on Porsche Macan type. Also, minor changes undergone front bumper. So, on its edge set slpitter changed, the air intake grille received horizontal «blade», and above them are the LED daytime running lights in the form of strips. Lowered profile German coupe shows 20-inch wheels with red brake calipers, elegant in its form mirrors and air vents for the rear brakes. The back of the Porsche opens a view of the acute-angled headlights, reminiscent of a sports car Aston Martin. Note that the engine cover has a new ventilation grille, below which the integrated automatic spoiler. 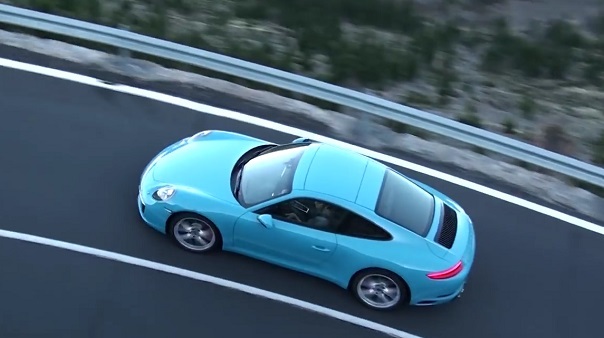 At the bottom of the bumper has four pipe exhaust system that are inherent exclusively for Carrera S. The model standard specification model is equipped with two rectangular tailpipes. In general, the model looks smooth and smooth, without any sharp lines or «chipping». Inside the luxury sports coupe is nothing superfluous, and all the controls are where you expect to find them automatically. A little tight, but very «grippy» seats, divided sublime torpedo, the center console is equipped with an 8-inch multimedia display PCM system. The latter includes Wi-Fi, traffic information in real time, Google Earth maps and Street View, the ability to sync with mobile devices and other usual trivia. Driving «working» space presented a new three-spoke steering wheel rim with a massive, five-cluster instrument panel and round a label system Sport Chrono, which allows you to select one of four modes (Sport +, Sport, Normal and Individual) settings of auto electronics. This function is available for the Carrera S, and the entire setup process takes 15 seconds, after which the car, like a bullet takes off. To overcome the bumps in the car provides adjustable suspension, which within 5 seconds can increase ground clearance. This time will be enough to overcome the obstacle. Under the hood, installed a new 3.0-liter six-cylinder engine. Its capacity can vary from 370 to 420 «horses». Works engine is mated with a 7-speed manual or 7-speed transmission Porsche Doppelkupplung (PDK) double-clutch. 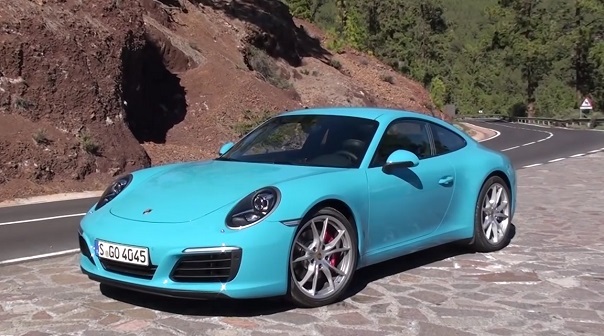 Carrera S accelerates to a hundred in 3.9 seconds and a top speed of 306 km / h. In this case, the manufacturer claims that the average fuel consumption will be 7.7 liters per hundred. Flawless operation of the engine, an abundance of luxury in the cabin and may open top, make your heart beat faster with delight and adrenaline in the blood. It remains only to pay 5,859,000 rubles. Home sales in Russia is scheduled for March 2016.